A Glimpse into the Future: What’s a Prefabricated Home? The future of new homes is prefabricated houses. But what does that mean? Keep reading to learn what a prefabricated home is and why the style is on the rise. Are you thinking about building a new home at some point in the near future? 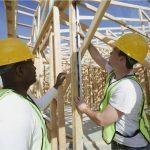 You could go through the trouble of drawing up blueprints for it, hiring a contractor, and building your home from scratch on-site. Or you could save yourself a lot of time–and potentially a lot of money–by going with a prefabricated home instead. Prefabricated homes, also known as prefab homes, have become all the rage in recent years. Many people have chosen to purchase property and put a prefab home on it rather than going with a traditional new home build. If you want to get in on the action, you should take the time to learn about prefabricated homes and the benefits that come along with building one. Find out more information about prefabricated homes below. Before we start talking about the benefits of building a prefabricated home, it’s important for you to know exactly what one is. A prefabricated home is any home that is built inside of a special climate-controlled factory before being transported to a piece of property and assembled on-site. Prefab homes look and feel just like any other home once they’re installed, but the majority of the construction that’s done on them takes place in an indoor facility as opposed to out in the open. There are several types of prefabricated homes. There are precut homes, manufactured homes, modular homes, and more. But more often than not, people are referring to modular homes these days when they discuss prefabricated homes. 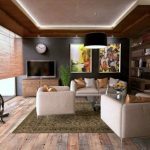 You can read more here about modular homes to get a better idea of how they’re different from other types of prefab homes. Regardless of which type of prefab home you choose, it’ll provide you with a long list of benefits. Continue reading to see some of the benefits of prefabricated homes. Any time you attempt to build a traditional home from scratch, you’re inevitably going to run into delays. Rain, snow, wind, and other weather conditions are going to force your contractor to take days off and slow down the building process. This is something that you won’t have to worry about at all when you opt to go with a prefabricated home. Your home will be constructed inside where the weather won’t be able to slow things down. There is a chance you could experience some slight delays towards the end of the process when you go to put your prefabricated home on a foundation. But generally speaking, it almost always takes significantly less time to put up a prefabricated home as opposed to one built from scratch on-site. The total cost of a prefabricated home will depend on a variety of factors. 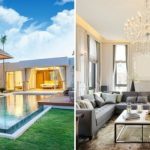 For example, the size of the home, the finishings inside of it, and even exterior factors like a porch or patio could drive the price of it up. But on average, you can expect to pay somewhere just north of $110 per square foot when you purchase a prefabricated home. That’s a far cry from the more than $200 per square foot that you’ll typically have to pay to build a traditional home. Both prefabricated homes and traditional homes are built to be strong and sturdy. You’re not necessarily going to need to worry about either of them falling apart anytime soon. 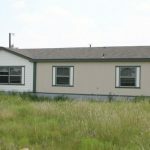 But one of the big differences between a prefabricated home and a traditional home is that a prefab one needs to be taken from a factory to the place where it’s going to put on a foundation. As a result, it needs to be able to withstand a sometimes long trip on the back of a truck. For that reason, prefab homes are designed to be extra strong and made out of super durable materials that won’t crack, break, or sustain damage while en route to your property. They’ll rely on that strength for many years to come once they’re all set up. When a contractor is in the process of building a traditional home, they’ll usually bring many of the materials for it to the site and leave them there. Over time, some of those materials will get ruined due to exposure to the elements. Some of them might also get stolen from the site if the contractor doesn’t take the proper precautions to protect them. 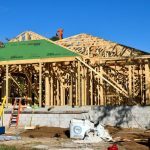 Contractors sometimes end up having too many materials on site, too, simply because they would rather have too much than too little while building a home. All of this can create a lot of waste during the construction of a traditional home. That waste won’t be a problem when you go with a prefabricated home instead. Companies that specialize in building prefabricated homes have a very stringent process in place that they use to put prefab homes together. That process requires them to follow a series of strict safety rules while assembling homes. 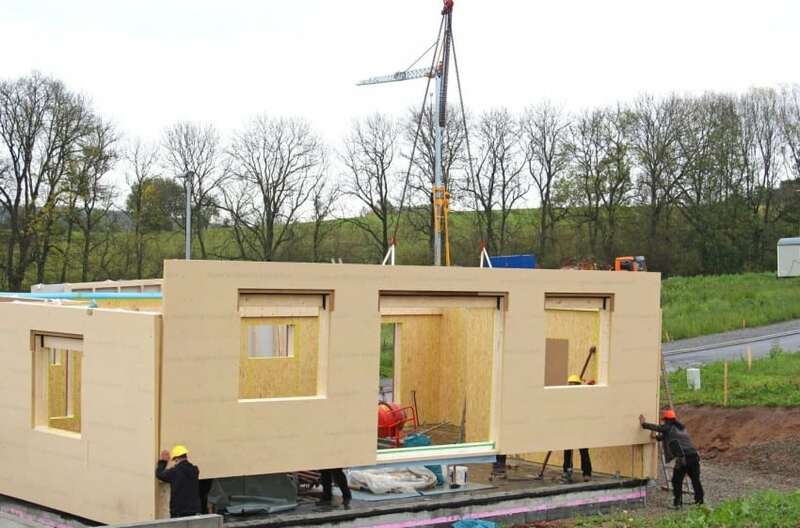 It keeps everyone involved in building a prefab home safe. Contractors building traditional homes from scratch have some of the same rules in place. But their exposure to the elements can sometimes make it tough for them to follow those rules at all times. It can lead to slips, falls, and other accidents involving those working on your home. You can ensure everyone who works on your home stays safe by bringing the operation indoors with a prefab home. It’s not going to be long before everyone who decides to build a home goes with a prefabricated home. There are simply too many benefits that come along with it to ignore. If you think a prefab home might be right for you, check out some of the options available right now. You might be surprised by how many different prefab home styles are out there. 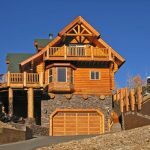 Take a look at our blog to learn about some of the specific types of homes you can build.